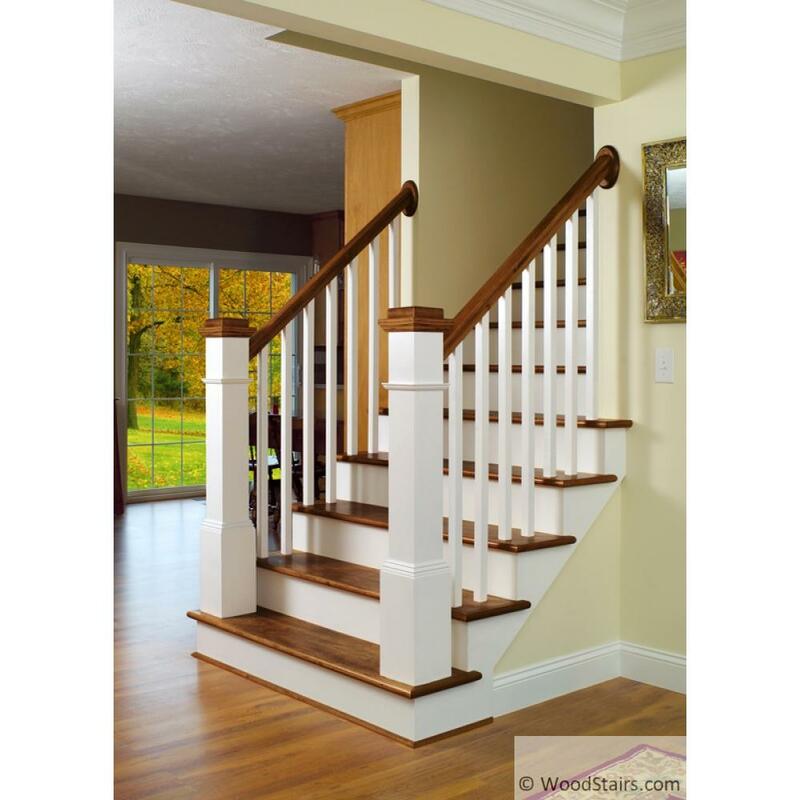 1 1/4″ Craftsman or Mission style balusters are deceptively versatile and can be use to create a variety of looks from simple elegance to old world rustic. 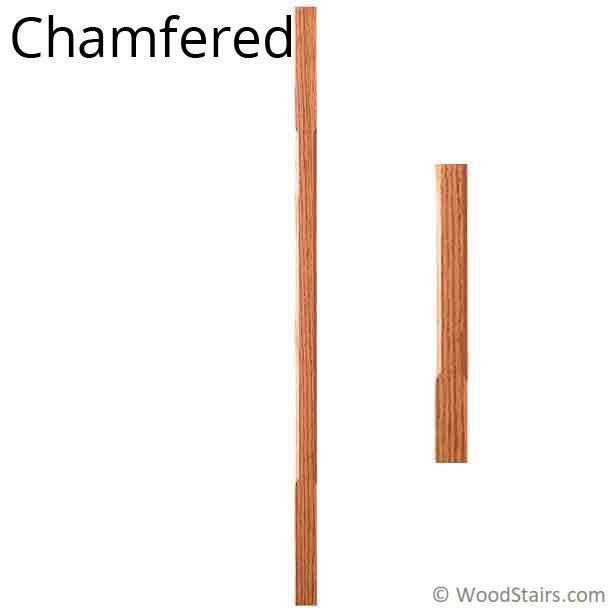 The spacing between balusters is often varied to make creative patterns or Craftsman balusters can be intermixed with Traditional Wood Balusters or Iron Balusters for unlimited design possibilities. 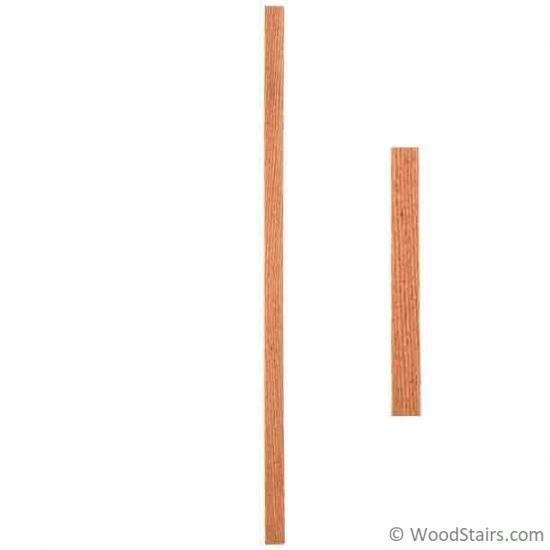 The 5060 square wood baluster is one of our most popular and most versatile wood balusters. 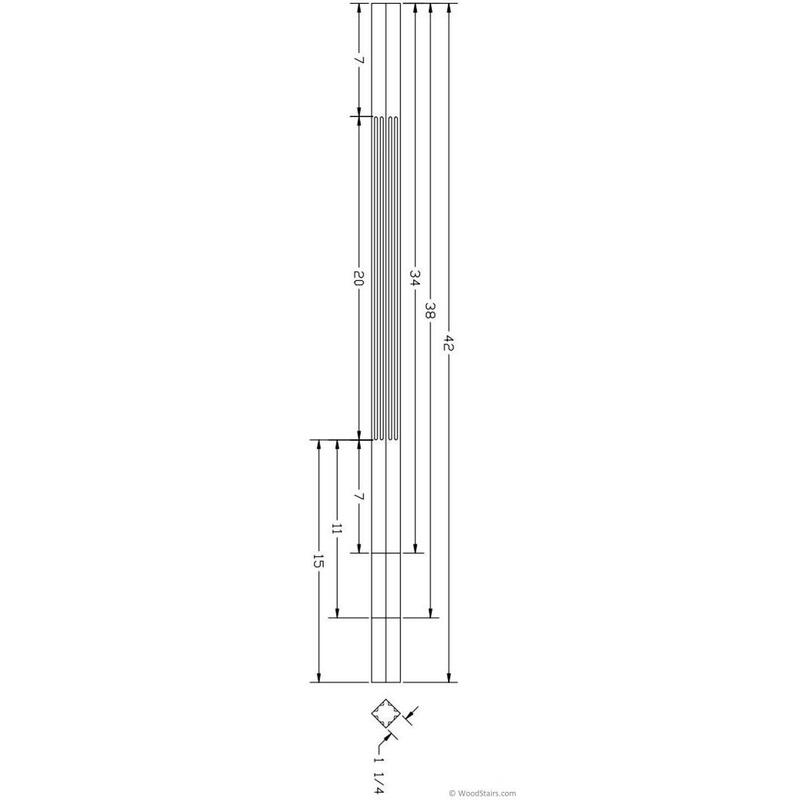 This 1 1/4 inch balusters comes in lengths of 34 inch, 36 inch, 38 inch or 41 inch. 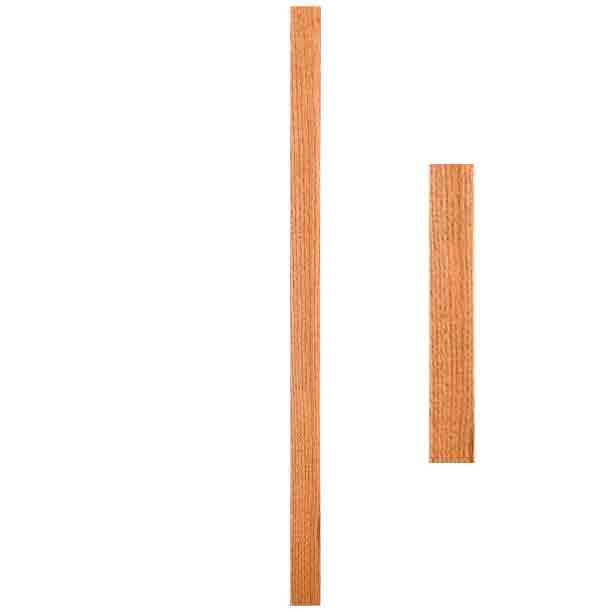 Where you really see the variety is in the styles offered in the 5060 wood baluster. 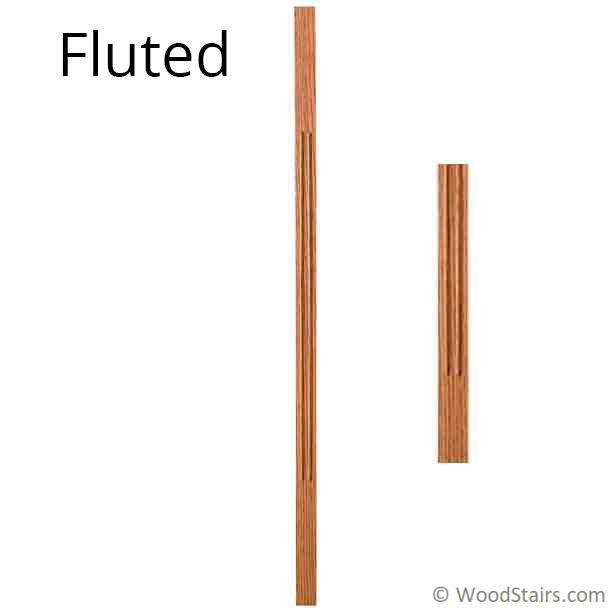 Choose from plain, chamfered, fluted, v-neck, chamfered v-neck, or fluted v-neck. 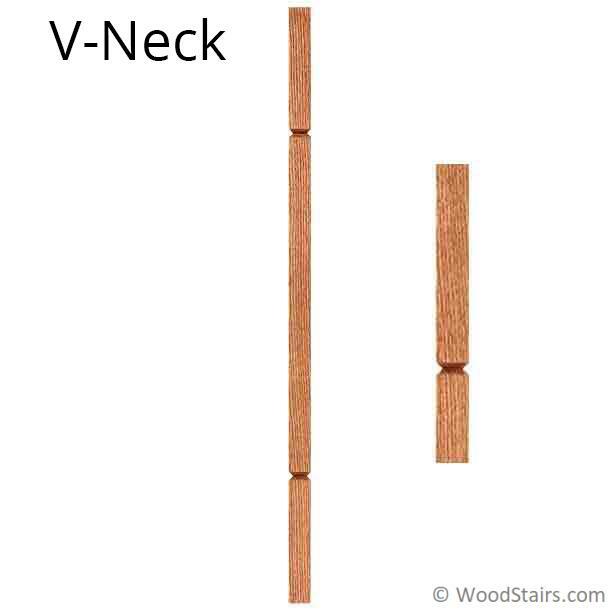 Check out the pictures above to see which style is right for your wood stairs! The 5060 square baluster is available in all of the popular wood grains including red oak, walnut, poplar, and white oak (and many others!). If you are looking for a round craftsman baluster check out the 5070 wood baluster which is also 1 1/4 inches.